Is This The Return Gift For Naga Babu? 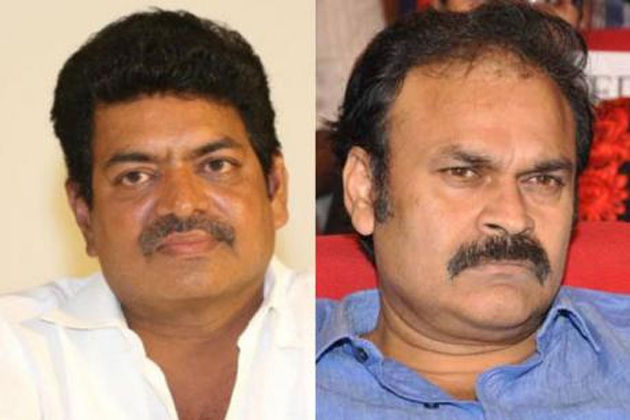 Return Gift' promised by Shiva Raja to Naga Babu led to a serious discussion in Film Circles until recently. This warning gained political significance ever since Mega Brother joined Jana Sena Party to contest from Narsapuram Lok Sabha Constituency. Naga Babu will launch his campaigning in Narsapuram Constituency anytime soon. Strong buzz is doing rounds that Shivaji Raja will be campaigning against the Jana Sena Candidate in Narsapuram. If this really happens, It's certainly going to be a return gift for the Mega Family. Shivaji Raja maintains good relations with both Chiranjeevi and Pawan Kalyan even Today. It would be interesting to see whether he would dare to make attempts to defeat Naga Babu. Political Observers say, There is every possibility of either TDP and YCP making use of the gap between Naga Babu and Shivaji Raja. What if one of these parties hire Shivaji Raja just alike Rajasekhar and Jeevitha in 2009? When Will Balakrishna Start Boyapati Film? Did He Point Out That He Isn't Sunil? Did Allu Arjun Lose To MSD?